Group exercise incorporates fast moving cardio that will have your body toned in no time. Our classes include Cardio Boxing, Circuit Training, Belly Blast and Total Toning. 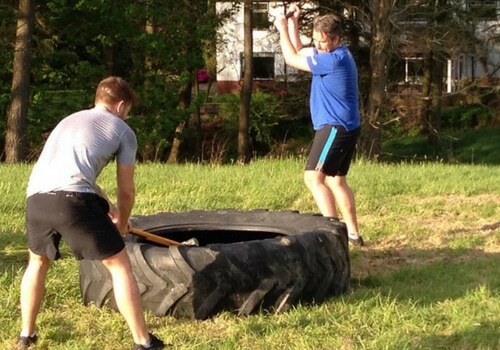 You have a busy schedule, but you like the idea of getting (or keeping) fit in a group workout. Going to the gym on your own is fairly boring, isn’t it. So, why not try our one of the fitness classes on offer? We have a range of different classes available for you to choose, no matter what your current fitness levels. 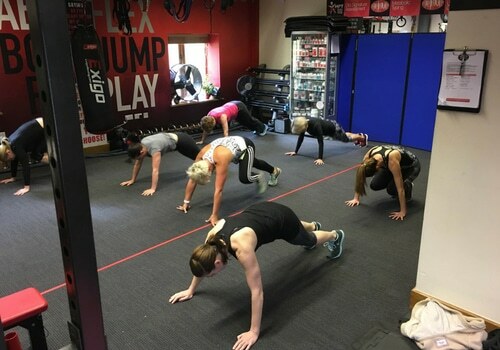 If you want to get your heart pumping with a great weekly cardio workout then our box & burn class is ideal for you. Working towards your fitness targets and having an energetic, enjoyable and productive lifestyle is what we want everyone to have here at Masters Fitness. 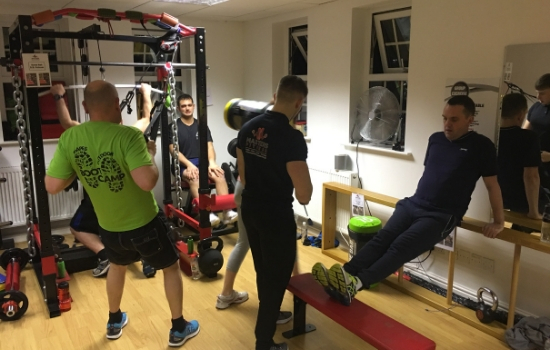 All of the classes are run by professionals in the fitness industry and take place in our personal training gym at Brockhall village (about 10 mins drive from Clitheroe). So, it’s an ideal location if you live near Blackburn, Mellor, Salesbury, Whalley or elsewhere in the Ribble Valley. This fitness class is a total body workout, including abdominal, core, cardio vascular, and strengthening exercises. Want to increase your metabolic rate – burn fat to feed your muscles, even when you’re sleeping? This class will help. If you’re already going to the gym, but you want a class to help tighten parts of your body then this is the one for you. Unlike other classes, if you burn yourself out on one station halfway around the class then you can take a quick break and get back into training. Similar to body combat, our cardio boxing is a challenging workout. It’s fast paced and will get you out of breath, and your heart pumping, in no time. Don’t let that put you off though, as taking this fitness class will help you trim down different parts of your body. Cardio boxing will give you a full body workout and ensure that when you get home you’ll feel tired for bed. If you want to train all of your abdominal muscles (get your belly slim and trim) then our belly blast class is the one for you. During this class you won’t just strengthen and work on your abs, you’ll be training and strengthening the whole of your core. Why is this class important? Having a strong core will help you when you’re working out because you’ll be able to properly balance and feel strong and stable, which helps to increase the weight you’re working with and burn more fat. A military style fitness and circuit training class, you’ll be doing some exercises in this class that you probably won’t have done before and you might not have even heard about. Tug-of-war, using a power sled, and running up the hill with a weight bag are all of the different things you’ll be doing – outside in the warmer months and inside when it’s cold. If you want to tone and sculpt your body the way you want it then total toning is the class for you. Similar to the popular Body Pump classes in the fitness industry, this workout will have you feeling some of the muscles in your body that you may not have known existed. A true fat burning fitness class at Brockhall Village, Blackburn. If you aren’t aware of metafit then it’s an intensive cardio workout that spans 45 minutes and has you feeling both drained and energised by the end. It’s one of those classes that tires you out in short space of time and has maximum impact for days to come.